Managing Partner, Poberezhnyuk & Partners. Partner, LL.M, Attorney-at-Law, Poberezhnyuk & Partners. We provide legal services in accordance with international standards, solid knowledge of the local market, expertise in different branches of law and more than 15 years of experience guarantee the reliable protection of our clients’ interests in all spheres. — Real / Land / Construction. Our company brings together attorneys-at-law and lawyers, accredited mediators, international arbitrators and finance experts. Our lawyers have experience in different business spheres, as well as in state bodies, they have been on internships abroad, and are acknowledged and recommended by the international and national law-lists: Ukrainian Law Firms 2017. 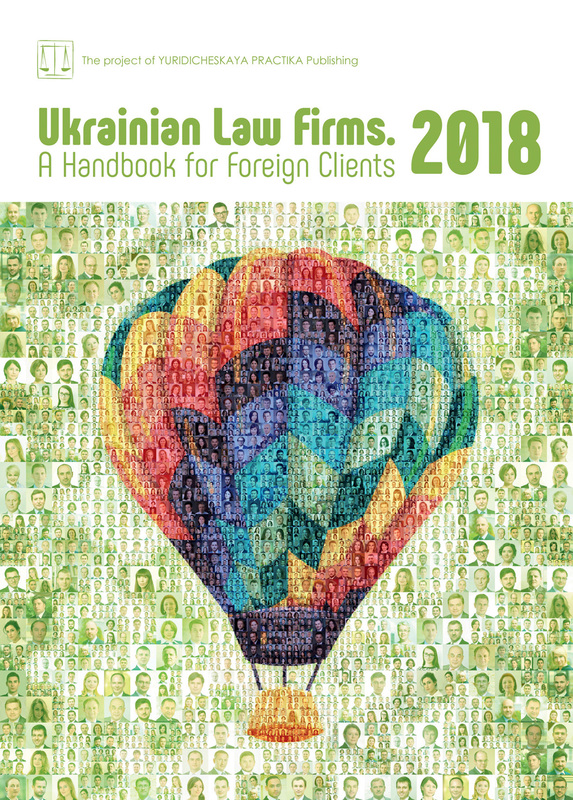 A Handbook for Foreign Clients, Best Lawyers 2017, The Legal 500 2016, The Choice of Clients, Top 100 Best Lawyers of Ukraine 2016 2017. Each and every of our actions makes sense and leads to the result, so clients trust us. We create a stable and secure business future for them, freeing up their time and space for new ideas and development. Our focus is on long-term partnerships. Having analyzed the business in detail, we optimize processes, minimize risks and so provide uninterrupted support to businesses. Over 15 years we have earned the loyalty of more than 80 clients, among them: Ukrainian and foreign corporations, private and public banks, famous representatives of business and politics. Our approach to work helps to develop business and provide services in a sustainable direction, so corporate social responsibility for us is an integral part of the company’s internal environment. We have been supporting and promoting academic music and Ukrainian culture for more than 9 years. Under Ukrainian law corporate disputes refer to disputes relating to the rights of shareholders in a company. Thus they often involve issues of a company’s control. In recognition of the importance of such disputes, the highest courts of Ukraine clarified various aspects of the law regarding their resolution. — contesting any other decision of a company affecting the rights of a former shareholder adopted before the shareholder left the company. — rights to property contributed by a shareholder to the capital of a company. By contrast, corporate disputes may not relate to claims for invalidation of company decisions by non-shareholders or acquisition of shares in a company. — A shareholder may not sue on behalf of the company. — A shareholder may not base his claims on violations of rights of other shareholders (hence no class action suits are possible). — Claims to invalidate the founding documents of a company or management decisions must be brought against the company itself (and not against the company officers adopting the decisions or the authorities handling the company’s registration). — Such disputes are heard by the commercial court at the place of the company’s registration. This means that even if the actual plaintiff (e.g. another shareholder) is a foreigner, the claim must still be brought in Ukraine. — The rights and duties of shareholders are governed by Ukrainian law. Thus, all shareholder agreements regarding the operation of a company are subject to Ukrainian law. — Such disputes may not be submitted to international arbitration. It has been noted that the rules on the mandatory jurisdiction of Ukrainian courts, the prohibition against the use of foreign law and international arbitration in corporate disputes are hostile to foreign shareholders and so would tend to discourage foreign investment in Ukraine. On the other hand, it is easy to see why corporate disputes, given the frequent multiplicity of parties, may often be ill-suited for arbitration. — remedies related to the annulment of the founding documents of a company. — force a company to pay dividends not declared by a shareholders meeting. In the case of such claims a court must issue a decision in favour of the plaintiff rather than refuse to consider the claim as not being subject to the jurisdiction of Ukrainian courts. A court may order a company to pay dividends only if they have been declared by the shareholders meeting. As explained by the courts, a shareholder may not force a company to declare dividends because such a decision may only be made by shareholders. The sale of shares by a shareholder in violation of the priority rights of other shareholders to buy the shares does not render the sale invalid. In this case the proper remedy is for the other shareholders to ask the court to transfer to him/her the rights and obligations of the buyer of the shares under the acquisition agreement. A shareholder may challenge the decisions of the company in court, including those of the shareholders meeting or the supervisory board. Such claims may be only brought by persons who were shareholders in the company at the time of adoption of the decision. Thus, buyers of shares who have not yet acquired ownership of the shares cannot contest the company’s decisions. — failure to provide the necessary information to shareholders where a decision relates to changes in the company’s capital. In all other situations a court must consider whether and how an irregularity contributed to the adoption of the decision. The court must in particular examine whether the irregularity resulted in a violation of shareholder rights; if there was no violation, then no grounds for voiding a decision exist. For example, where an irregularity prevented a shareholder from attending a shareholders meeting, the decisions adopted by the meeting may only be voided if the shareholder’s absence could have materially affected the outcome of voting at the meeting. Claims to invalidate the charter of a company must be brought against the company itself, without joining shareholders to the proceedings. By contrast, if a company has the founding agreement it may only be contested in court proceedings with the participation of all its shareholders. — the irregularities infringe the rights or legally protected interests of the plaintiff (e.g. a shareholder). Furthermore, although a court may not itself amend a company’s charter (which is the prerogative of the shareholders meeting), it may order the company (essentially, its shareholders) to amend the charter. For example, in a dispute regarding the transfer of a participation interest in a limited liability company, a court may order the company to amend its charter so as to list the buyer of the interest as a company member in the company’s charter.